Ten sets of ten freebies for the wonderful instructional design community. Some require registration to download. Please be careful when downloading freebies to be sure there is nothing malicious. Also, read license agreements when appropriate. Download version 4 of the list here: [Download not found]. It includes all the new bonuses. LA County Museum of Art: 20,000 free images. Click image and if it displays “Download Image,” then it’s in the public domain. The Getty: 4600+ art images in the public domain. Articulate Community: Free templates, graphic elements and fonts. Registration required. IconFinder: Possibly the best site for variety of free icon choices. If any of the backgrounds are small tiles, you need to bring them into a graphic program and repeat them to the size of your choosing. For a web page, they will repeat automatically. Ardour: Audio editing and recording for Mac. Audacity: Cross-platform audio editor and recording software. Levelator: Evens out the audio levels within an other audio file for variations from one speaker to the next. NaturalReader: Converts written text to spoken words. Wavosaur: Audio editing and recording for Windows. Brainy Betty: Limited selection of free music and sound effects. Freesound: A collaborative database of Creative Commons Licensed sounds to download and share. Jamendo: Several hundred thousand tracks to download. Musopen: Public domain library of music from a nonprofit. Soundjay: Selection of well-recorded sound effects. Scorm Cloud (10 uses): Hosted version of a SCORM player. ScreenLeap: Instantly share your screen to help others learn. Flash Roll Over Tool: A little app that makes rollovers in case your authoring tool doesn’t. Google Hangouts: You know about the hangouts. Now use them for small discussion groups. LaterBro: Schedule Twitter and Facebook updates. Twubs:Enter a hashtag and start chatting. AutoHotkey: Automate repetitive tasks by sending keystrokes and mouse clicks. Please list your favorite freebies in the Comments section below. Get The eLearning Coach delivered to your Inbox every few weeks, with articles, tips, freebies and resources. Keep Learning #6 is not free unless you’re a member of the eLearning Guild, which is $99 a year. The free membership doesn’t get you access. I had checked in with them awhile ago and was told that the free membership does get you the research reports. I’ll email someone right away and remove these if I’m wrong. Thanks for letting me know. I’ve changed those items to other “Keep Learning” freebies. Good ones! Sorry for the error. I’m surprised you don’t have the noun project up there. Not everything is free anymore, but some still are, and it’s a great resource for graphics and icons. I was just waiting for you to list it. Thank you. Thanks for such a wonderful & valid compilation. Specially the images & audio part is excellent. I’m so happy these resources came in handy for you. I’ve been meaning to gather these together for a long time! Hope to see you here again. 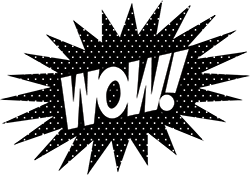 As your graphic says, “wow” indeed! Thanks for sharing all these neat resources Connie. I just checked out Adobe Story, and it sounds great for writing video or audio scripts. Wow again. These are great, Craig. Thank you! Please leave more comments any time. Great list, thanks! Add http://www.edu20.com to your list of LMS. Not free but very affordable vs. other options. So glad you like it, Natalie.